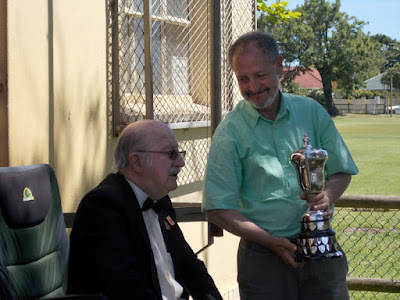 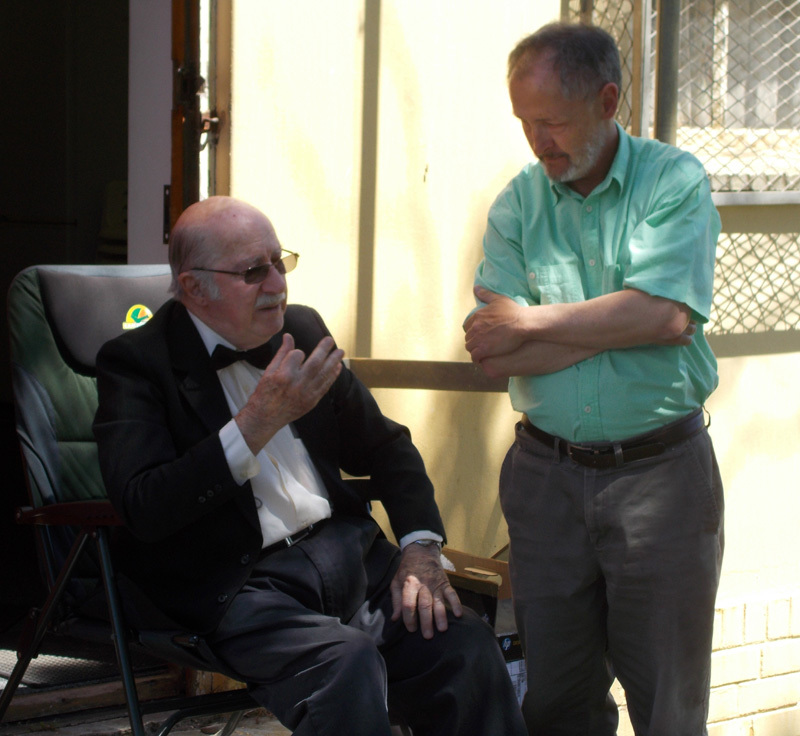 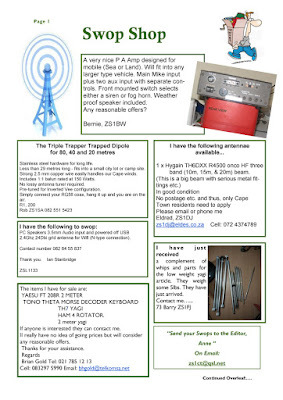 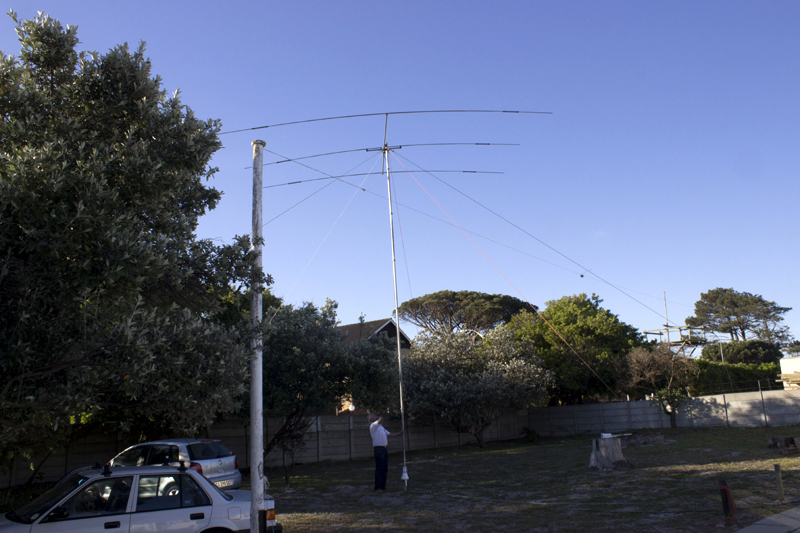 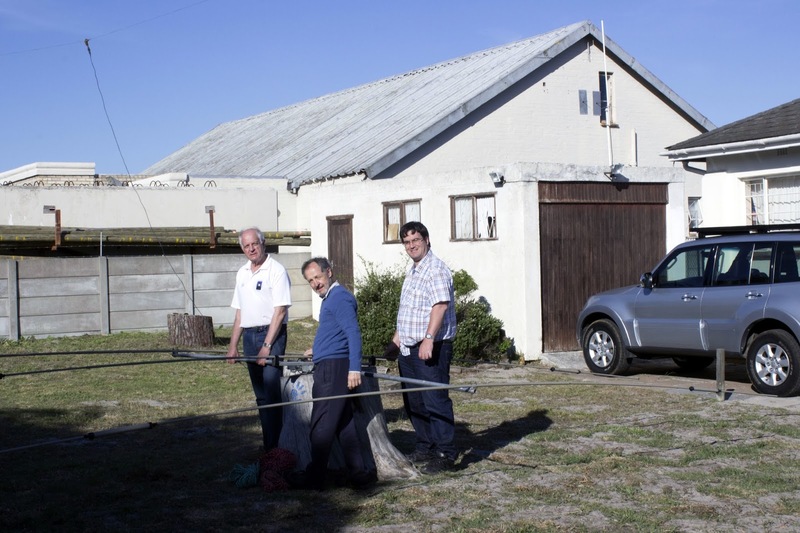 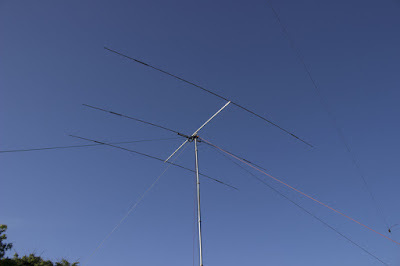 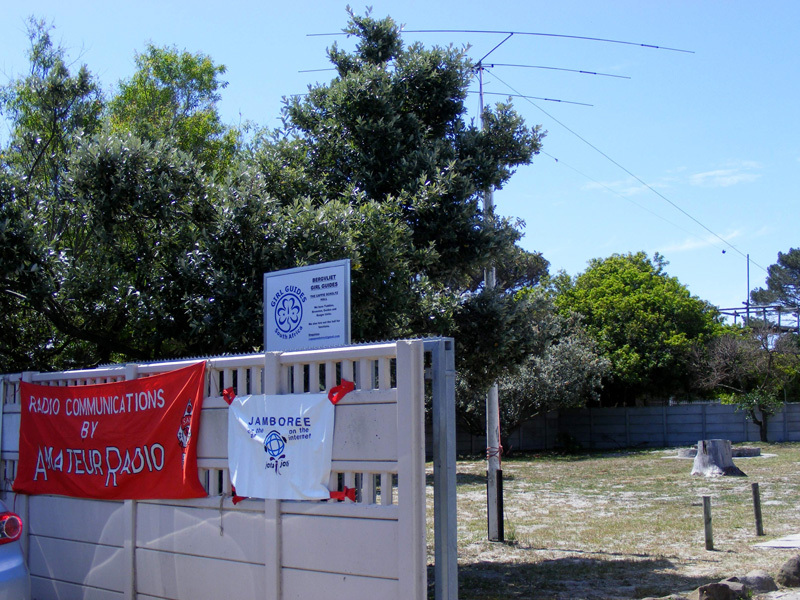 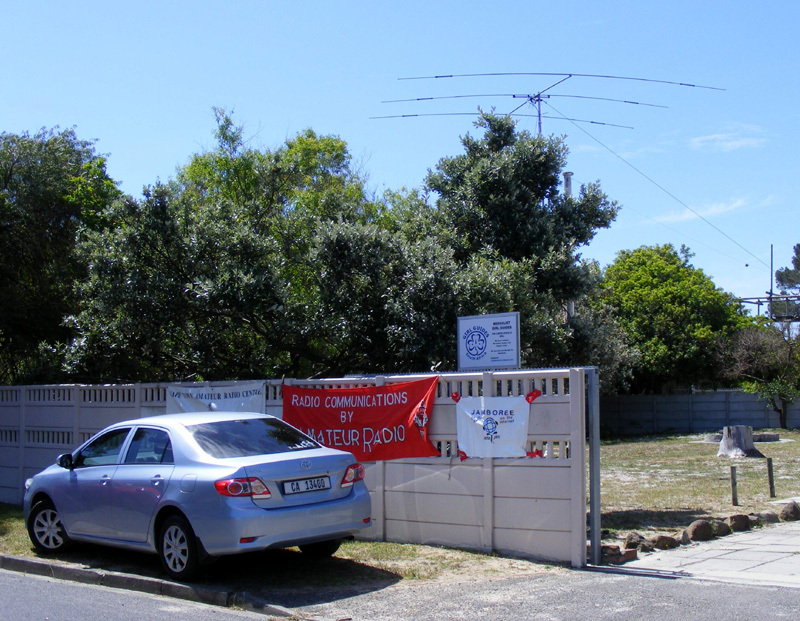 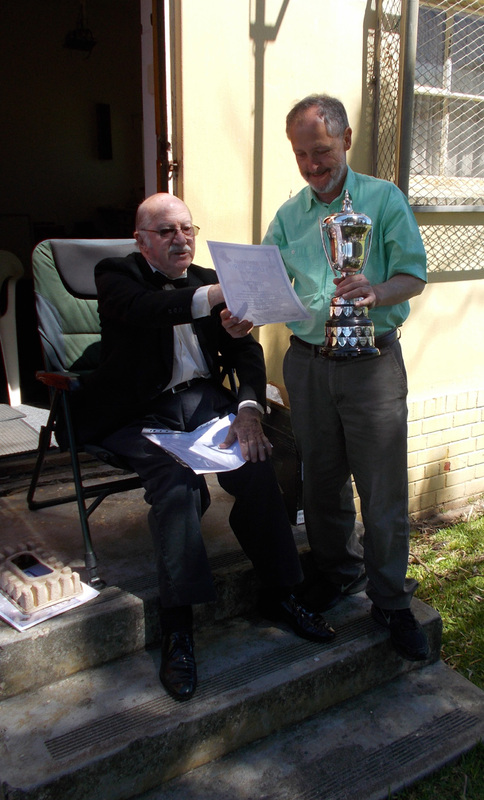 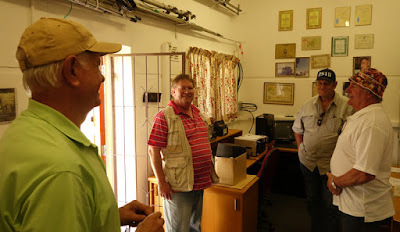 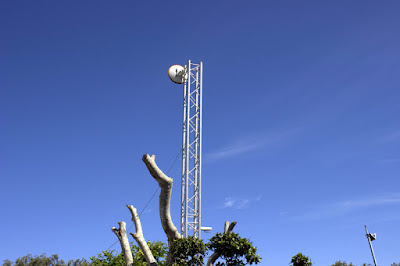 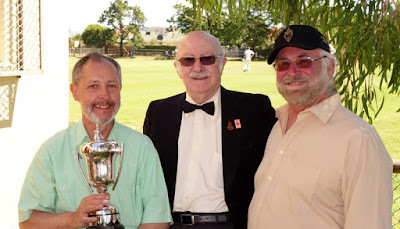 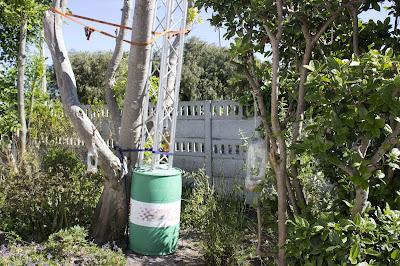 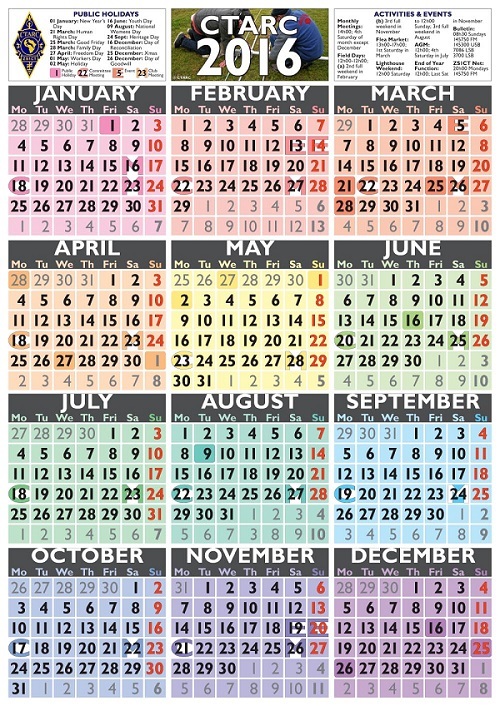 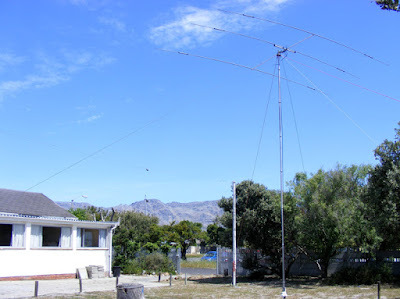 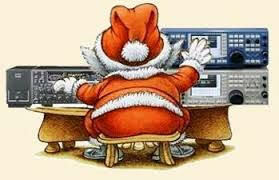 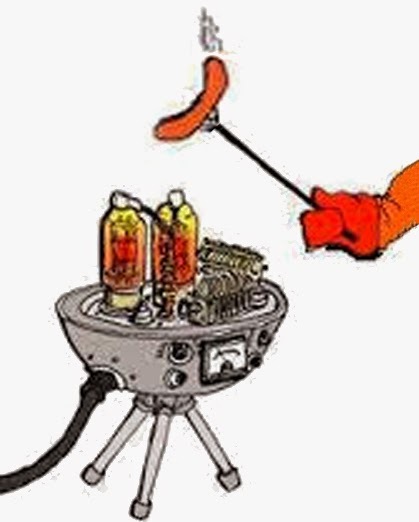 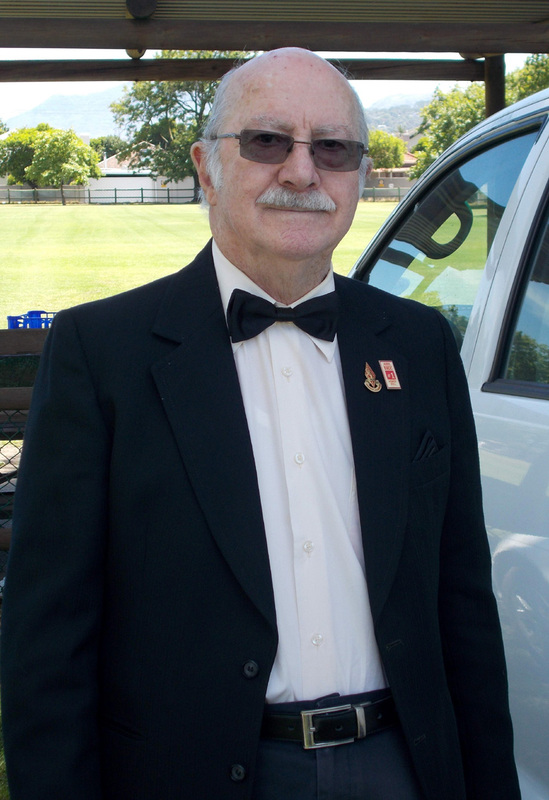 The December 2015 edition of the Cape Town Amateur Radio Centre's bi-monthly newsletter "Ragchew" have been published. 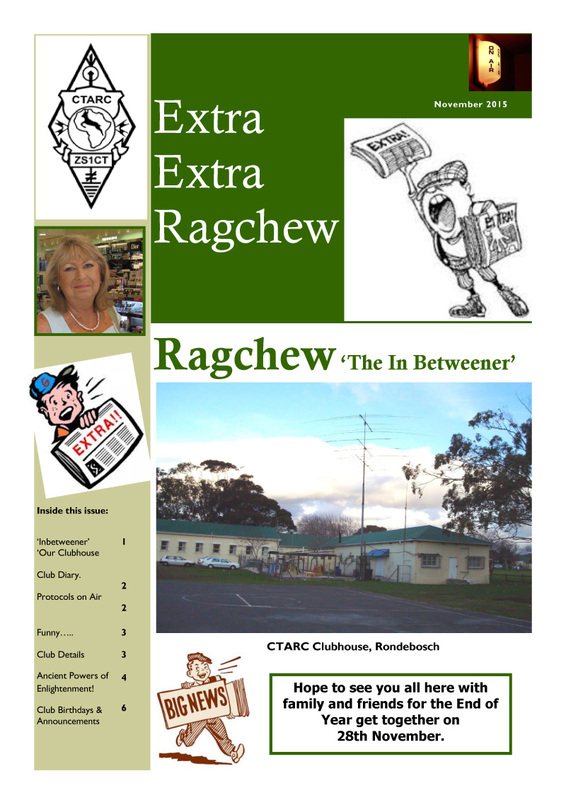 This is the final Ragchew newsletter for 2015. Huge thanks to Anne, the Ragchew Editor, for all her hard work throughout the year. 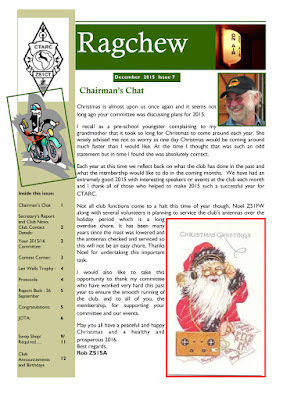 You can download the December Newsletter as a PDF directly from [here]. 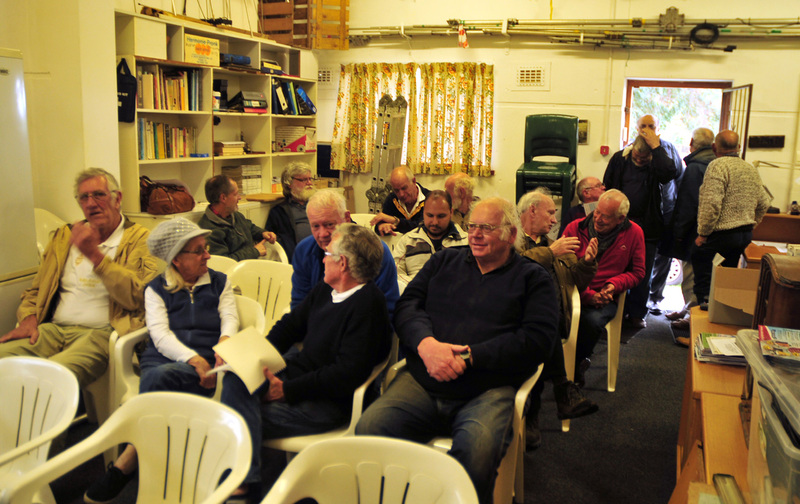 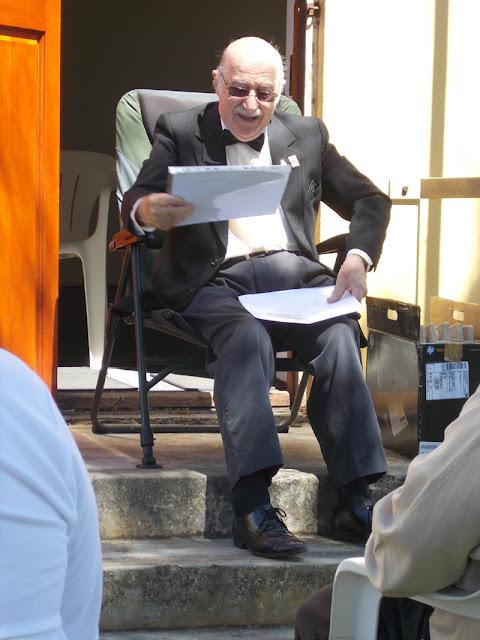 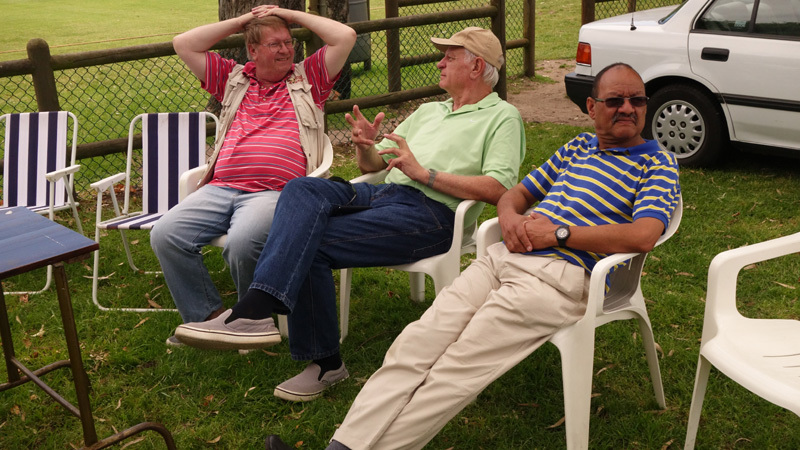 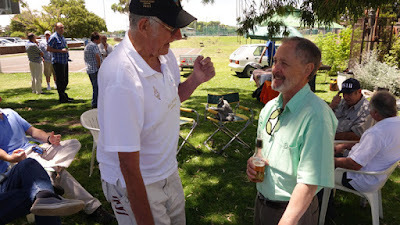 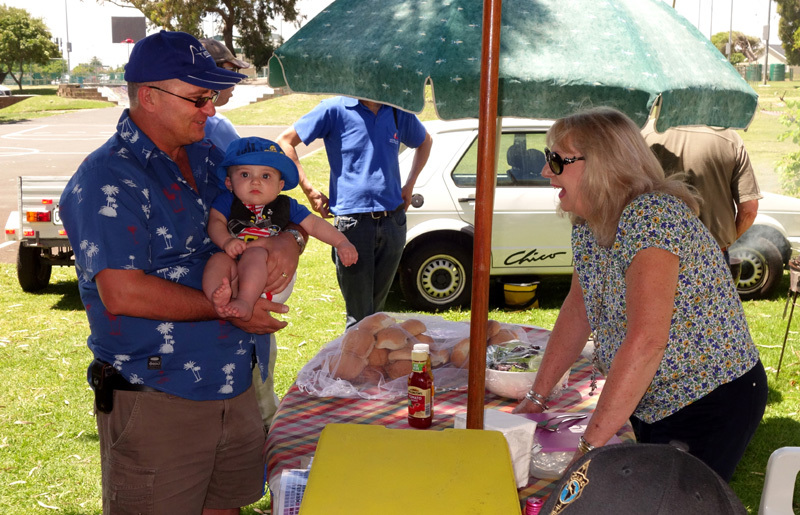 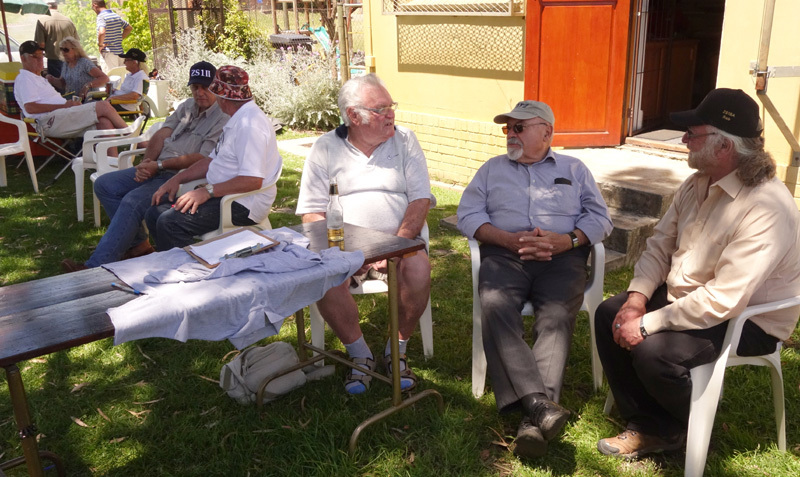 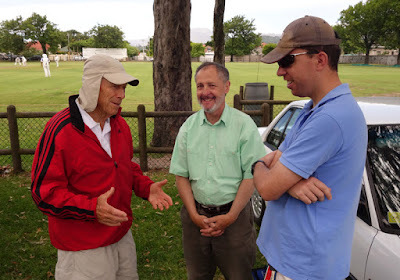 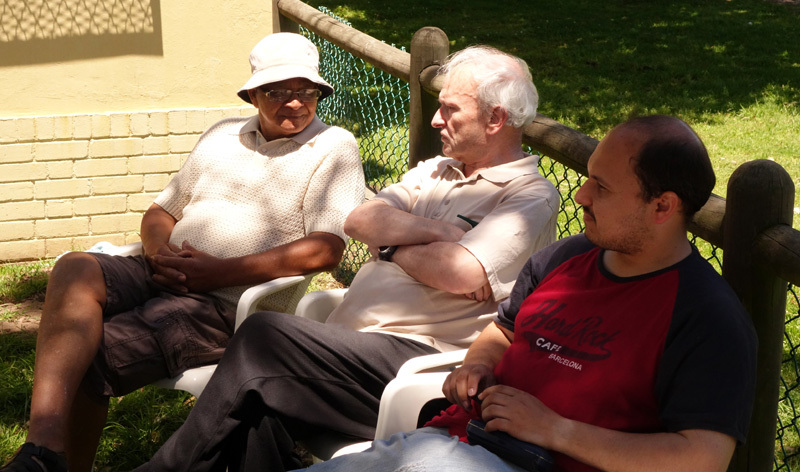 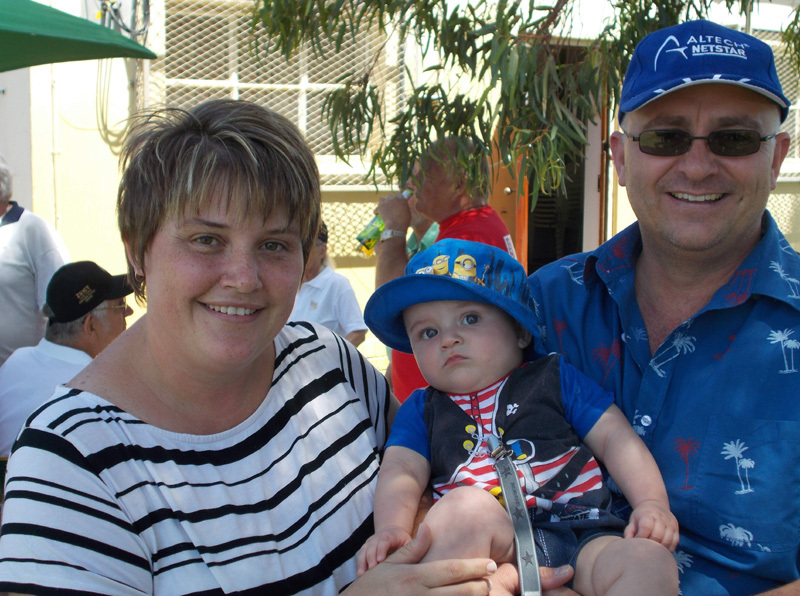 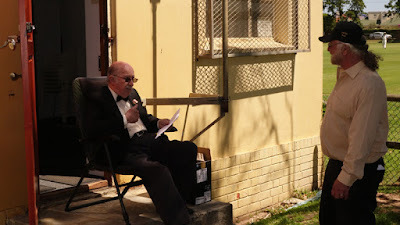 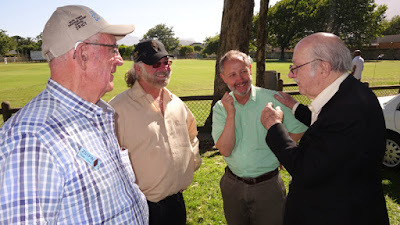 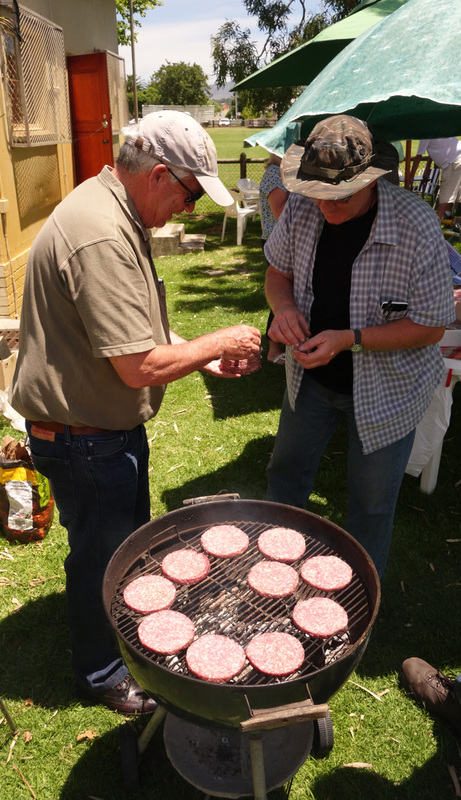 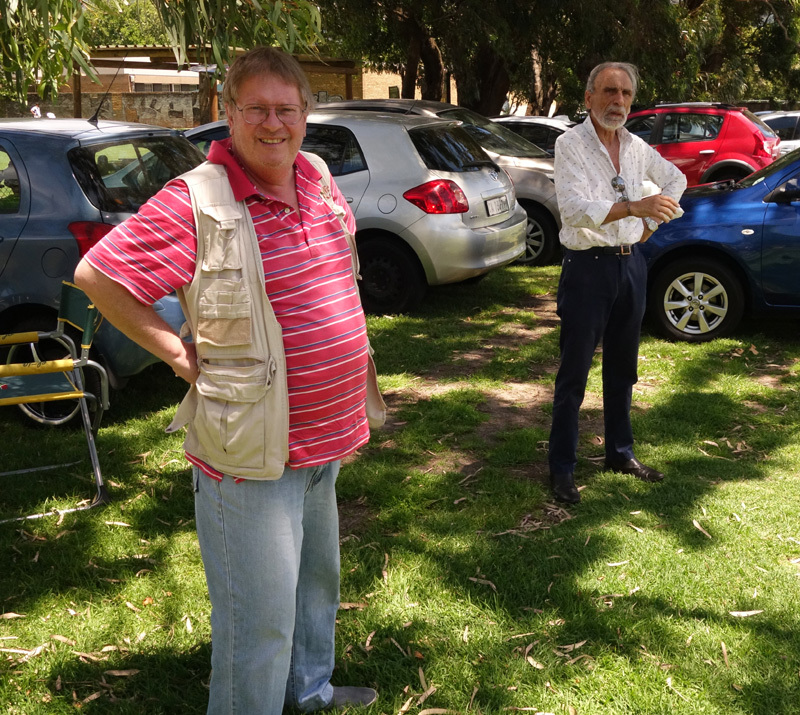 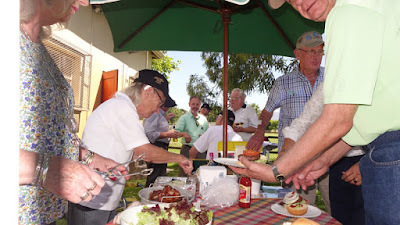 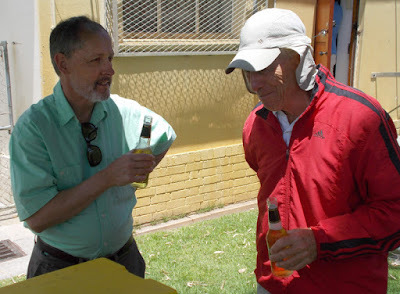 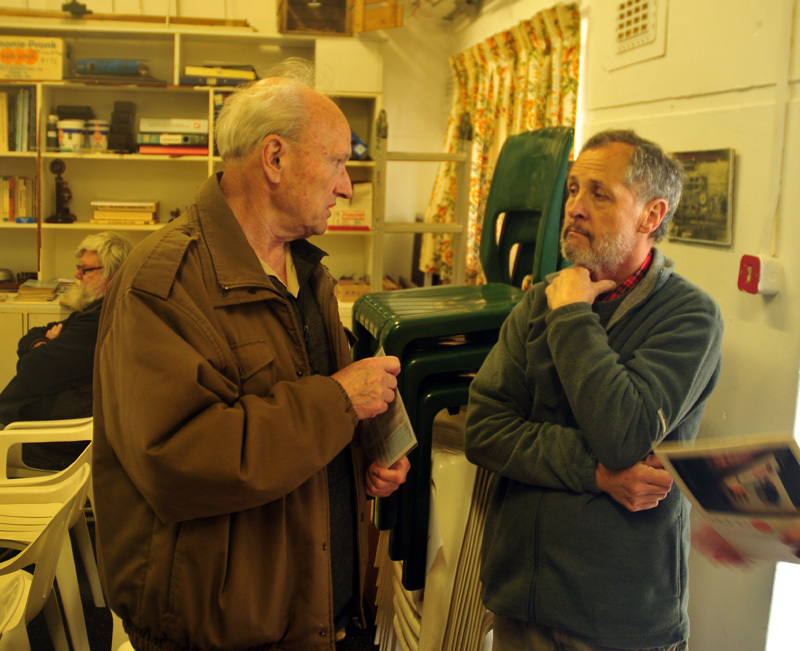 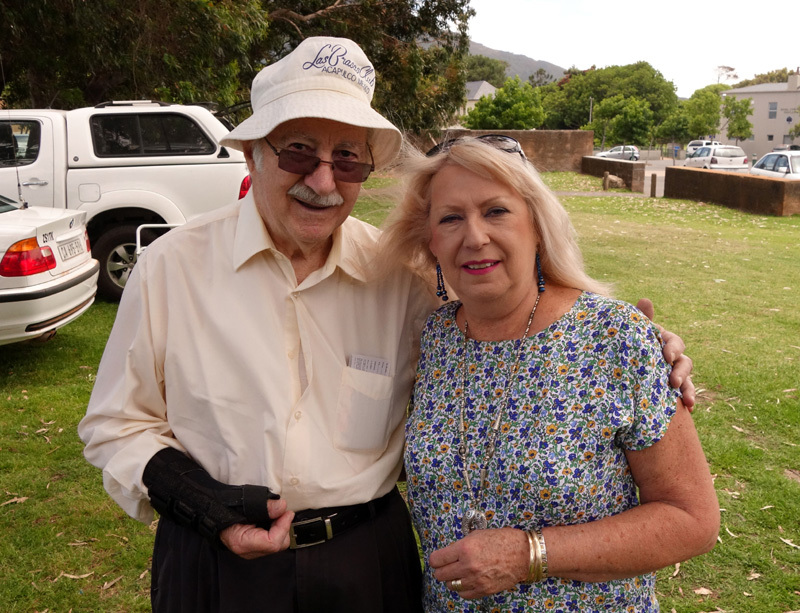 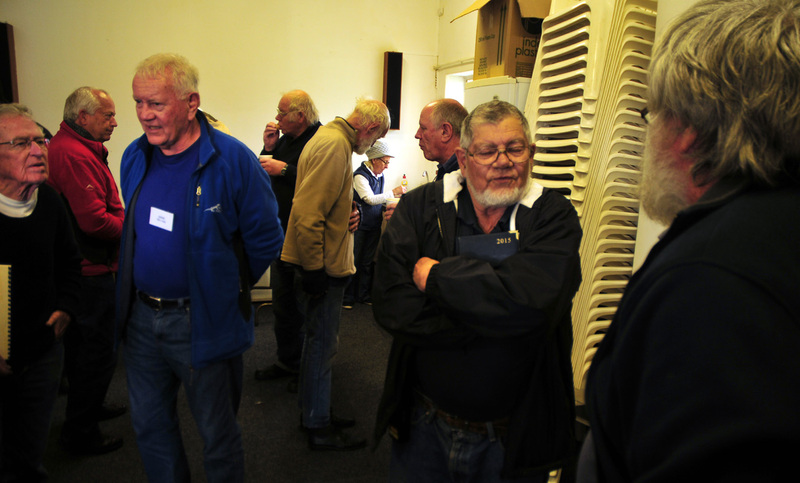 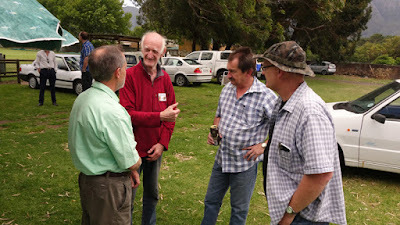 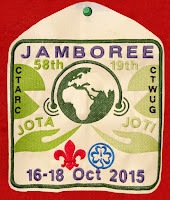 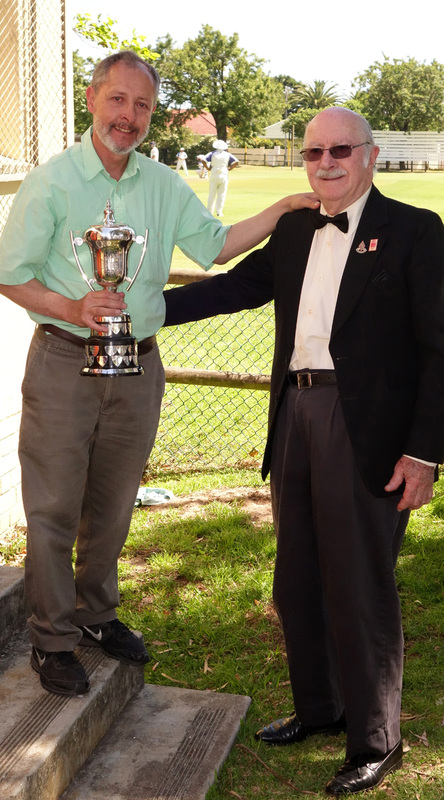 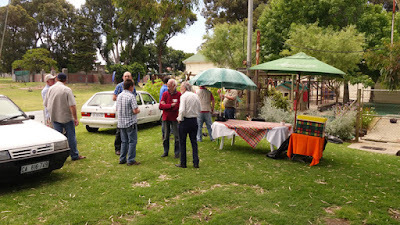 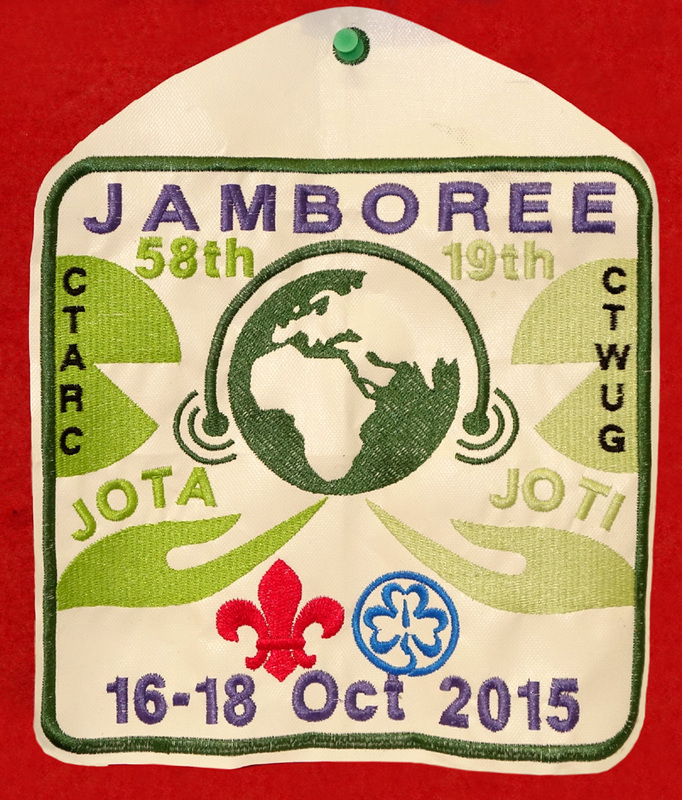 On Saturday 26 September 2015 at 14h00 the CTARC held its September meeting, which was reasonably well attended in spite of rather cold and windy weather. 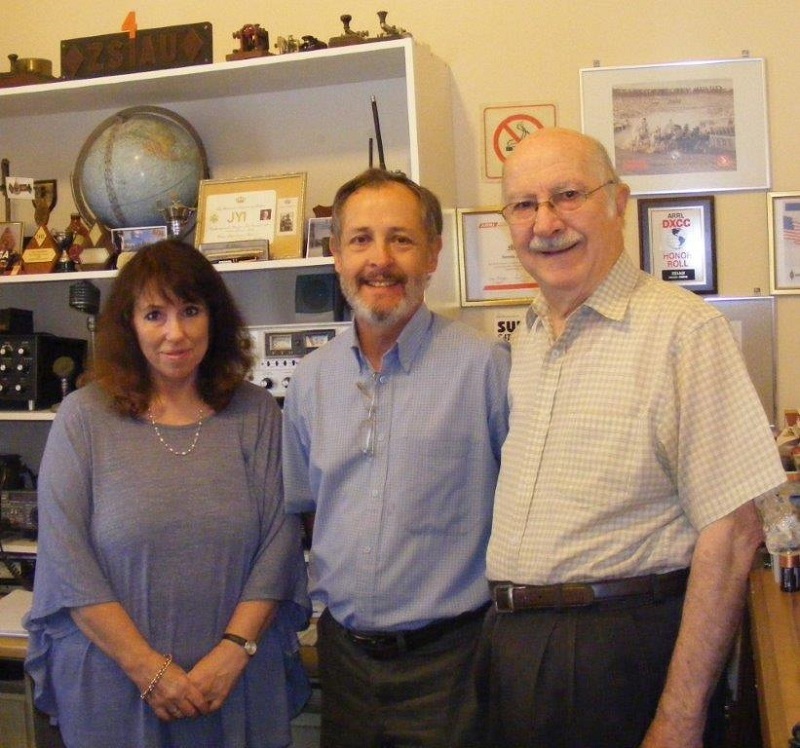 Next year, the CTARC celebrates its 70th anniversary. 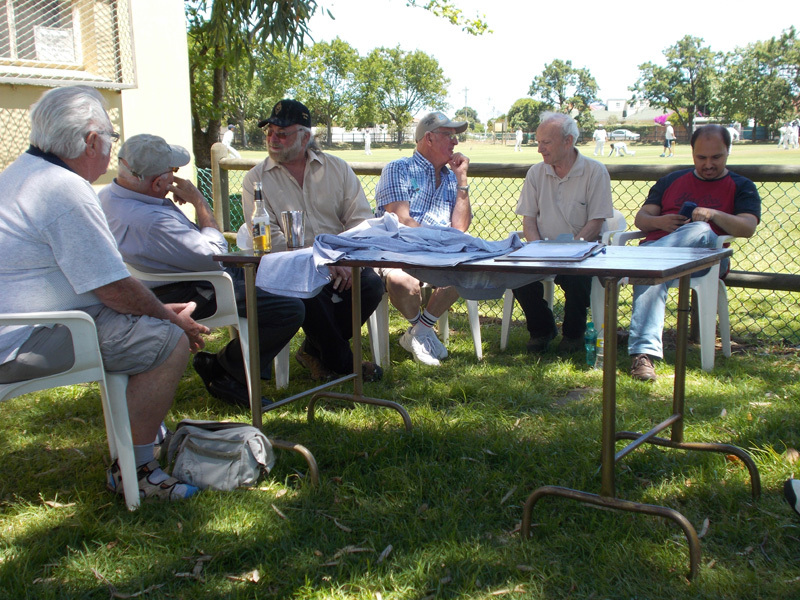 We eagerly await members' input and suggestions on how to commemorate this auspicious milestone. Further details on the above forthcoming activities will be published on this blogspot and announced in the regular CTARC Sunday morning bulletins. We then proceeded with the main event of the afternoon. 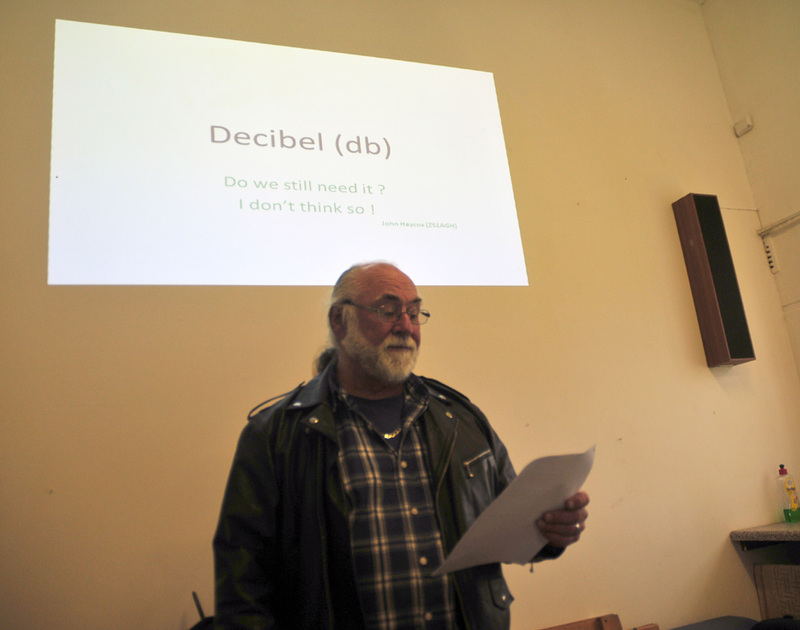 John / ZS1AGH gave us a fascinating lecture on Decibels - what they are, and how they apply to amateur radio. His talk was illustrated with a PowerPoint lecture, which may be downloaded here. Those CTARC members with grey hair had to scratch our heads (and watch what hair we have left turn even greyer) at the complexity of it all, having last had exposure to such mental calisthenics when at technical college or university (many years ago...)! 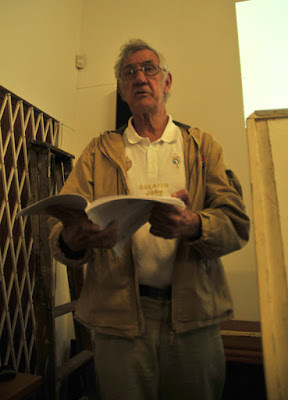 At the time, John made it all appear so clear and simple! 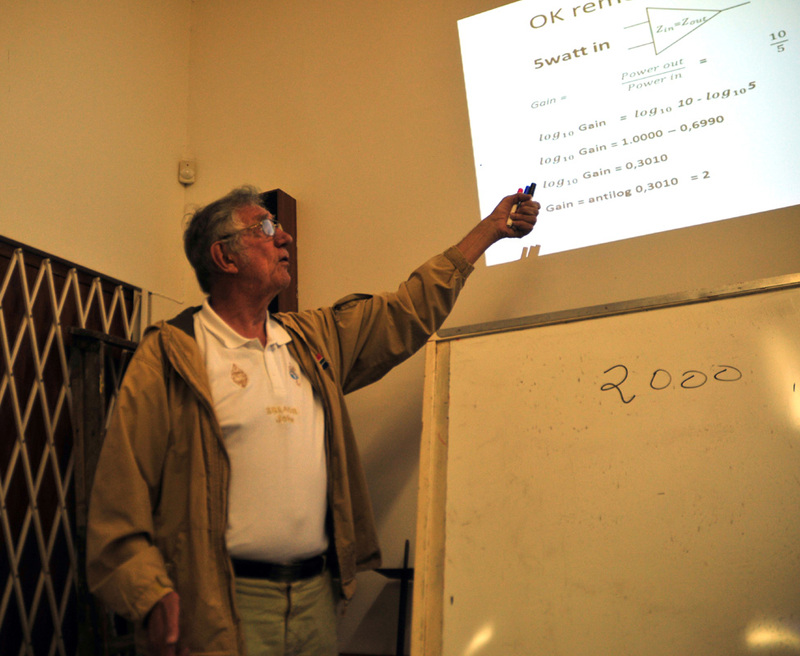 John also showed us the tools of the pre-calculator epoch - logarithm tables and a slide rule. 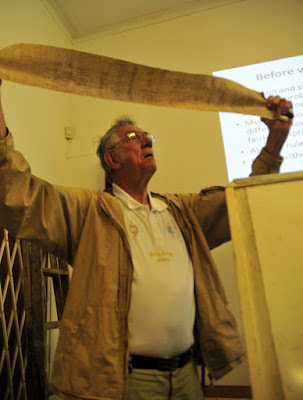 They may appear cumbersome to us now, but in experienced and adept hands they were tools of great productivity before cheap digital calculators became widely available. Hans-Jurgen / ZS1HJH brought along a very useful card published by the German Funkamateur club, of a comparison between decibel values, Voltage and Power levels, and S-Units. 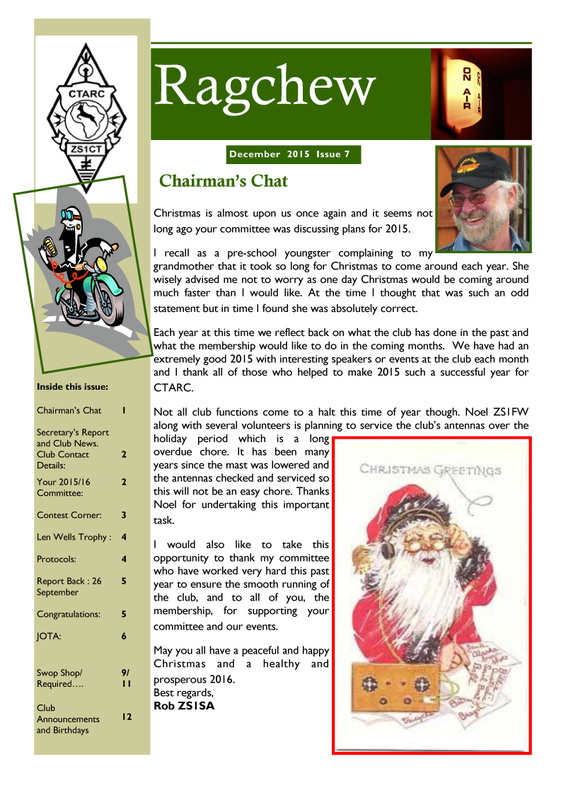 He very kindly allowed us to make it available, so you can download it as a PDF file here. Afterwards we broke for the usual natter over coffee and biscuits. 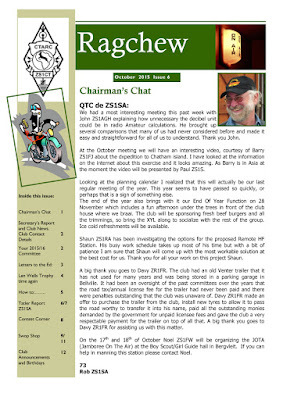 All in all, another great CTARC meeting. 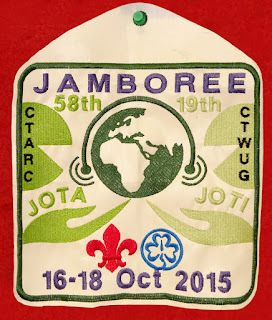 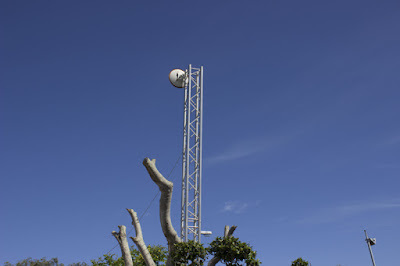 We look forward to the forthcoming JOTA field station and October meeting. A series of calculations on a loooong sheet of paper!